Yes, I'm still on Facebook despite the kerfuffle in the news about the role Facebook data may have played in Cambridge Analytica and AggregateIQ's efforts to sway elections. I'm having a hard time believing anything I said or did affected Brexit, Trump's election, or even Trudeau's election. I'm just not able to get upset that fb shared what I said and/or did or their site Perhaps my dispassion is because I, too, use Facebook for 'nefarious' reasons--like selling my books. The more my posts and name gets shared around the world, the happier I am. The more my friends become your friends and your friends, mine--the more we get together the happier I am. Free advertising and all that jazz. Yeah, Facebook! A platform that reaches billions and doesn't cost me a penny. I'm clever enough to realize the best things in life are not free, and that facebook makes money from my presence. It has to make money or it wouldn't exist for long unless it was funded by government or philanthropists. It doesn't bother me, it's the price I'm quite willing to pay in order to have a platform that reaches billions and doesn't cost me a penny. As long as Facebook's profit doesn't involve stealing, killing, sharing or reselling my copyrighted materials--which there's no indication it has done--I'll play their game. I have never posted anything that I wouldn't mind sharing with the world. I've never relied on Facebook as my news source. I've never liked things on Facebook when I didn't know their source. I've never posted, liked or shared anything promoting intolerance or hatred. Anything I want to say but would hesitate to say in person in public gets put in phone calls or offline messages. I'm not myself on Facebook, I'm an author with seven published novels looking to sell them. That's not to say I don't chat on Facebook, connect with family and friends, offer opinions and encouragement and sometimes rebuke. I'm honest online, I'm not hiding behind a pseudonym or caricature. But my online personae is only the public side of me, the side of me that might conceivably help me sell books, the side of me that isn't going to affect a U.S. election or a U.K. plebiscite. The downside of all this, though, that I must consider is that my Facebook friends may not have bought into my scenario, yet they apparently are at risk of world-wide exposure and malicious manipulation simply because they're my friends. use the power of social media to make the world not only a more interesting place, but a safer and kinder one. #DeleteFacebook has been brought to you by Dispassionate Lies --in the near future, the World Wide Web collapses. When my kids gifted my husband and I Ancestry.ca DNA testing kits, we both got a tad nervous. Not so much because we feared what might be revealed about our past (what’s done, is done and it all got us to a good spot in life), but more we feared what that DNA might all be used for. Could it ever be used against us in a court of law? To identify us, when we’d rather not be known? To hike the cost of life or medical insurance, should genetic weakness show up? Could it foreseeably connect us to relatives we’d rather not connect with? Could it connect us with Crime? With lawsuits? With parental issues? The Ancestry.ca kit did come with a questionnaire where you can choose to approve their request to use your DNA for further research (we declined and asked our sample be destroyed after testing). You can also choose how much of your information will get shared on their website, and with whom. Part of their service is to connect you, via your DNA results, with other Ancestry members who have been DNA tested. I declined sharing any of my results, although I did allow them to list for me others whom I'm potentially related to. You can also choose to download the raw data from their lab, but unless one is a genetic scientist, it would be hard to decipher what the data means. Also, once you request that download, Ancestry.ca no longer vouches for the security and privacy of your results—because, presumably, they can’t monitor who you decide to share the information with and how securely you go about sharing it. If this all sounds a bit paranoid, it perhaps is. Because where ever one goes, one leaves behind one’s DNA. Just swab my fork after I dine at Tony Roma’s and my DNA profile is yours. It’s that fact, that led me to give in to my curiosity, spit in the vial, and ship it off the Ancestry.ca lab in Ireland. Let’s face it—there are no secrets anymore. DNA and Privacy has been brought to you by Schrodinger’s Cat—Trapped in two universes, two simultaneous lives. In one, her child is dying. Trump threatens the publisher and author of Fire and Fury with a lawsuit and the publisher responds by moving up the release date. We all chuckle. But as a journalist and author, the threat of a lawsuit always niggles around in the cockles of my mind. One always does one's best not be libelous or defamatory and always puts those little disclaimers in the front of the book about it being totally fictitious. And in the case of journalistic endeavors, one keeps meticulous notes, checks out one's sources, and runs things by lawyers. The right to freedom of expression and freedom of the press, are very strong rights in democratic societies, but they are not absolute. Canada has hate laws, Germany has a law making Holocaust denial illegal. Most countries have laws against publishing state secrets and thus Snowden, Assange and Chelsea Manning got in legal trouble. This balancing of an individual's freedoms and rights with what's 'right' for society is difficult for many of us. In my novel FATAL ERROR a disgruntled cop, in trying to make a living from a tell-all tale, unveils the identity of a young witness whose testimony helped bring down THE TRAZ biker gang. Although the police move to prevent publication of the book, they are Canadian cops and it's an American publisher--insisting on exercising first amendment rights. With cross-border jurisdictional confusion and the age-old battle between 'rights and freedoms' versus 'life and limb' things became very dicey for little Katrina. When rights aren't absolute and the truth is open to interpretation, the ensuing struggles, though intense and unsettling, serve as great fodder for novels and movies. 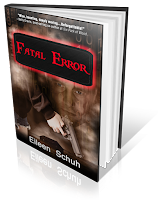 Fire and Fury has been brought to you by FATAL ERROR, Book 2 in the BackTracker Series. 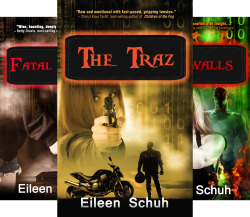 At thirteen she falls in with The Traz bikers. At fifteen her testimony brings down the gang. Her genius, beauty and wealth eventually make her a very powerful woman--but Katrina will forever be in danger. Around the age of eight or nine, childhood tantrums give way to plaintive tirades against how unjust life is. "It's not fair!" "If life were fair," we wise adults retort, "we'd be born old and die young. People would fly and seagulls would walk." "If life were fair, all the terrible things that happen to us, we'd actually deserve." We start to develop a more mature sense of justice and fairness in our early to mid-teens, and an acceptance that no, life is not always fair. Well into adulthood, though, we long to believe our justice system is fair, that our political institutions are equitable and principled--unless of course, we're looking for advantages for ourselves and our kin. Unless we believe we deserve a bit more than others...a bigger piece of the pie, a lesser part of the punishment. In FATAL ERROR (2nd Edition), Book 2 of my BackTracker series, the equability of our justice system is explored from differing viewpoints--a young teen, law enforcement, prosecutors, the media, a biker gang. "There are cultural differences in what is perceived as fair, leading to different laws and legal systems around the world. Canadian laws allows for justice to be tempered by circumstances yet at the same time, nobody is above the law—the same laws are supposed to apply to everyone equally." Flexibility and fairness are hard concepts to balance, and not everyone is equal under the law, and circumstances both colour and taint justice. 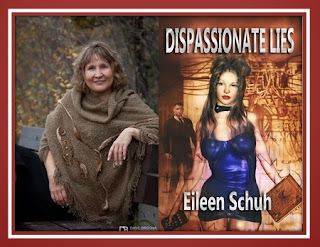 "...a dialogue-driven plot with so much compassion"
“This book has so much to say; we all should listen."